“The key claims in this patent allow manufacturers to fabricate and align nano-imprinted features with little or no apparent visual contrast,” explains John S. Berg, Carpe Diem’s founder and CEO. Alignment and assembly is an increasingly important and difficult requirement for products whose performance is predicated on low-cost materials and extreme precision. These integrated optical and electronic products can now be made on low-cost substrates such as plastic film, flexible glass or even paper. The patent’s key claims facilitate roll-to-roll or flexible panel manufacturing of very precise complex devices – inexpensively. Products enabled run the gamut from startups to mature industries. High-efficiency energy generation from solar and thermal sources. Carpe Diem’s modular machine system is for the development and production of nano-enabled printed electronics, microfluidics, meta materials and optical devices utilizing the most advanced processes. The manufacturing system has the flexibility to change with customers’ needs and as technology evolves. From NIL with NIL mastering capability to Spatial ALD. From printing to photolithography, with interferometric alignment and inspection. 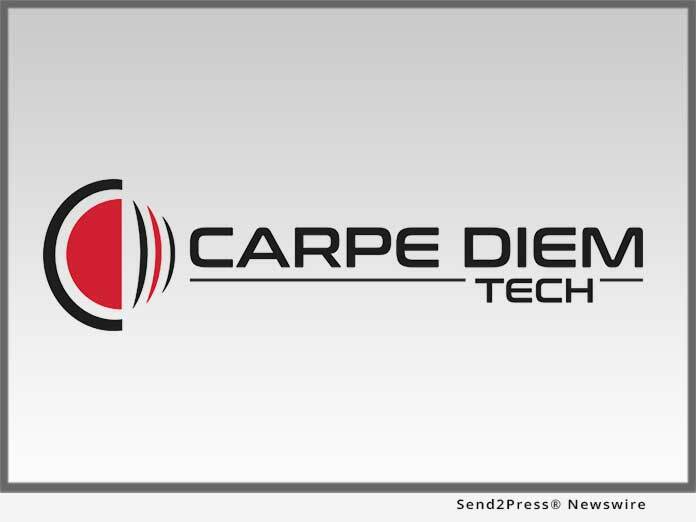 Carpe Diem’s team, solutions, and approach power the new era of products and devices. "The key claims in this patent allow manufacturers to fabricate and align nano-imprinted features with little or no apparent visual contrast," explains John S. Berg, Carpe Diem's founder and CEO.